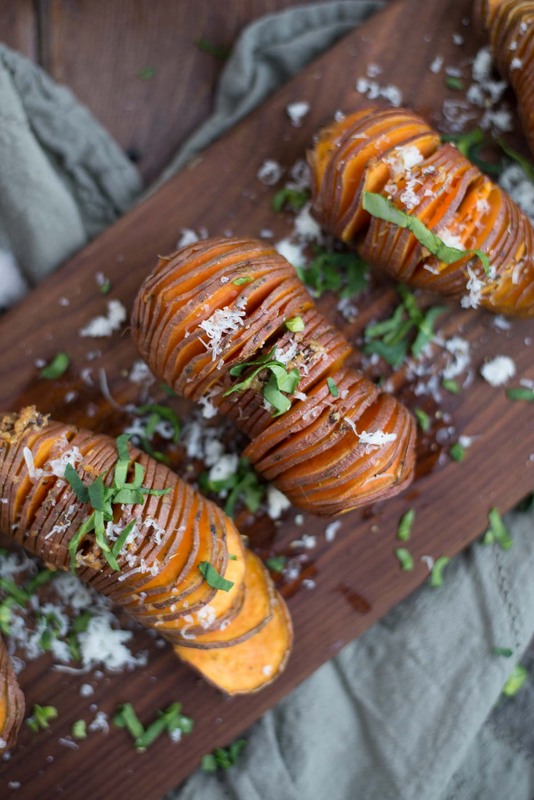 It’s true, I’m in full detox mode right now with these hasselback sweet potatoes. I’m trying to be a normal human being, just living life but then this internal hippy thing I have going on overtakes and all I want to do is research earthing pads, salt lamps and chew on kale. Okay, I lied but only about the kale part. You see I try to be this normal human being, doing normal human things, fitting in but then I get put in a social setting and all I want to do is talk about weird, natural things and I just don’t know what to do with myself. Apparently this is why the hubs likes me to keep my mouth shut in public. The truth is, I’m pretty much a glass house (if you haven’t caught that vibe yet) and this is real life for me. While I like to think I’m completely normal, and if I might add cool, I stop and remember that in all of my weirdness I’m doing it to help us all. To help us feel better, live healthier and enjoy life a little bit more even if that means stepping away from the norm and just being you. So maybe I should take this time to thank you for putting up with me, my salt lamps, goat milking and fermenting. I’m a little weird but trust me I do it all in love for you. So with that, I hope you join me in this detox phase I’m going through. Trust me on this it’s not a weird protocol filled with tinctures, loads of pills and becoming BFF’s with the bathroom. Nope this is just getting in touch and falling in love with real, wholesome, delicious foods and a non-toxic way of living. I promise you will love it and I will help you in this journey. 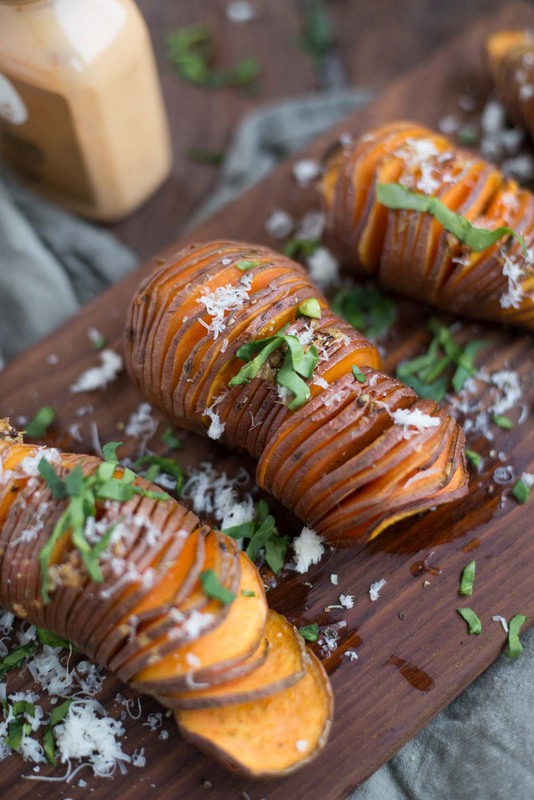 Let’s start with exhibit A, detox hasselback sweet potatoes. They’re cute, they’re fun, twisted and delicious. These my friends are a good way to start the clean eating detox mode. Not to mention they are seriously delicious, like a cross between a sweet roasted potato and chips. You can eat it with a fork (the classy way) or get in touch with your inner child and pull each piece off and eat it with your fingers. I’m not judging and you can just guess what one I went with. I mean I do live with three children. 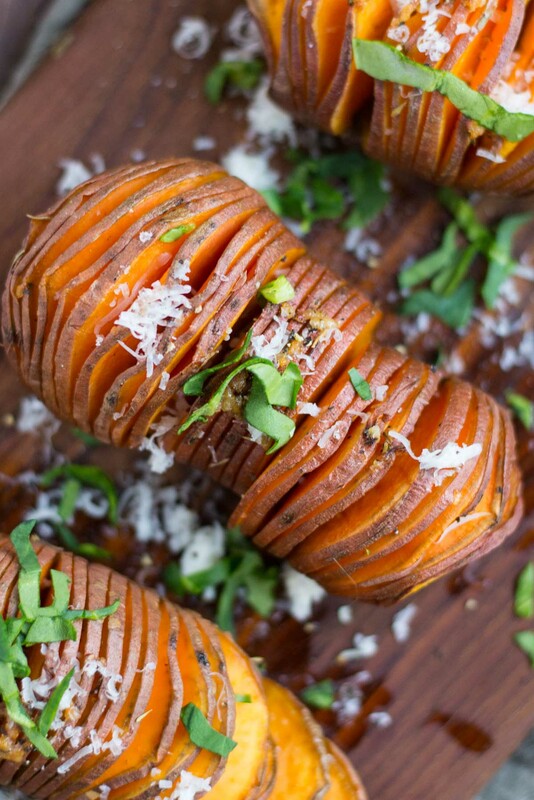 Sweet, roasted, moist potato with a garlicky basil sauce and just enough crisp to make you want to keep eating. I mean you get it right? They are totally delicious. But you’re probably wondering how and why I can even begin to call them detox and why in the world am I on this kick. Let’s break it down. Spring cleaning is approaching. The weather change is upon us (t-minus one month) and our bodies are getting ready to purge, restart and refresh. It’s cleaning house time and why not capitalize on the fact that your body actually wants to work with you. We all need a little extra tender care and love and this is needed at least once a year. I know I’m not alone when I say that eating healthy makes us feel healthy, we just need to adapt a way to do it for life. Not try to force yourself into something just for a result only to end up worse than when you started. But to be healthy, live healthy and create a new way of life. Whether you are pro or against detoxing I can assure you that the new way to detox is 100% acceptable across the board. I mean it is not different than cleaning up your diet and your life, just really doing it and doing it well. No more pills, special juices, mysterious regimens, just real food, real life and a good solid plan to get the job done. I’m doing it, so that must mean all of the cool kids are doing it… not to pressure you or anything. And seriously, I’m just wanting to be cool even though I’m in a totally different category. But in all seriousness, this recipe is just to show you the goodness that you could call your new life. Try it out for yourself, take it for a test drive and feel all the good feelings all the way to your bones. This is nutrition, this is life and this is the way that lasting health is achieved. But first we have to get that plan established for you to be on your way to health for life. Now I’ll step off my high horse and tell you that I’ve made this sweet little detox guide just for you. 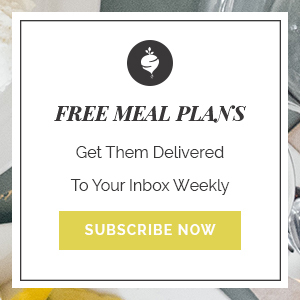 It’s free and its jam packed with tips, tricks and hacks you can do today to start cleaning out the junk and filling it with real, wholesome nutrition that will give you energy like you’ve never thought possible. 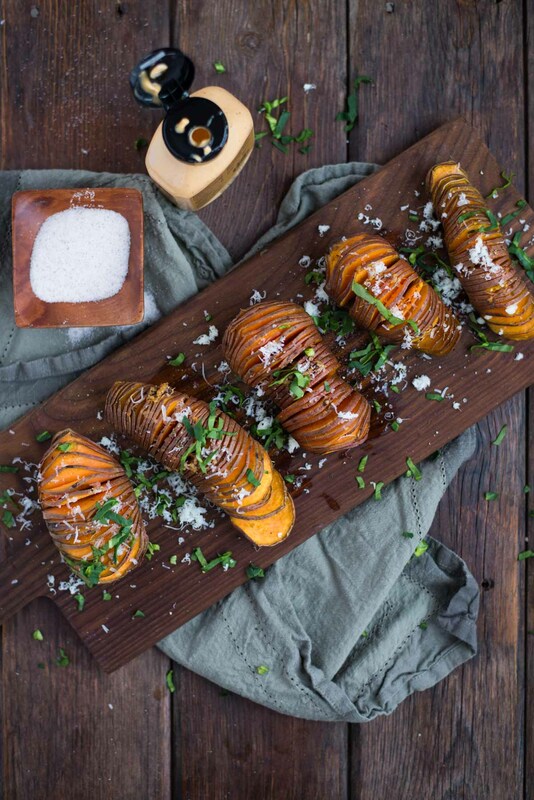 Don’t forget to download that and hasselback yourself some sweet potatoes. It’s just the thing to do. If you want to know more about how I detox and a plan I’ve created just for you, you can sign up here and details will be coming in the near future. 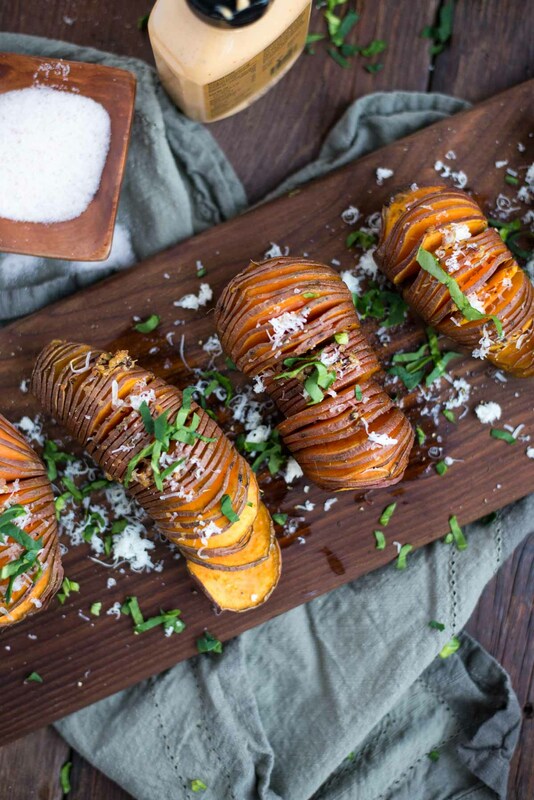 Wash sweet potatoes and cut just a small portion off the bottom so it sits flat. Using a sharp knife cut thin slits in the potato ¼" from the bottom. Add in olive oil, minced garlic, fresh chopped basil, cinnamon, nutmeg, salt & pepper.